Welcome to Lawine Kennels (est 1997), we have been involved with German Shepherds since 1987 - we are a small select breeding kennel located on 5 acres at Kenthurst (Hills District), Sydney, NSW. 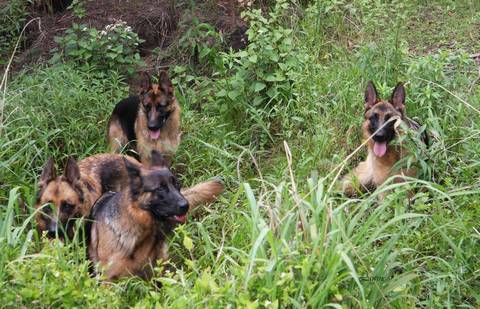 Over the years we have accumulated some of the best German bloodlines available, with sound outgoing temperament. To breed high quality, correct type, well adjusted German shepherds as your loving and loyal family members. 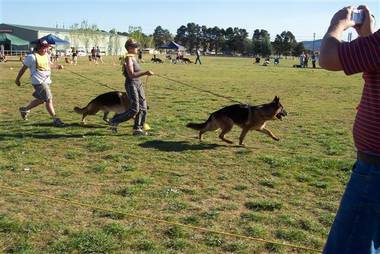 We are members of Dogs NSW, the German Shepherd Dog League, GSDCA and we participate in the schemes of the German Shepherd Dog Council of Australia and follow the ethics code of these organisations. My love for the German Shepherd started out when I was a young girl after my older brother purchased a German Shepherd. My husband and I purchased our first german shepherd "Hannah" in 1987 and our second "Dylan" 12 months later. Hannah competed in obedience and gained her CD title. Dylan competed in both the obedience achieving his CD title and the show ring as we were encouraged to show Dylan by his breeder, so at 12 months of age we experienced his first specialty show. When our son Nathan was born Dylan was around 3 years of age. He loved us all, but his love and bond with our son Nathan was exceptional. From the time Nathan came home he was always at his side. Denise regularly exhibt dogs for other breeders/show enthusiasts.